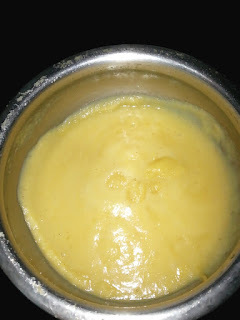 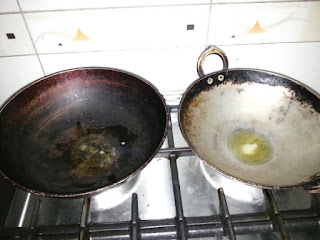 Keep two pans in the heat and add 1 tbsp ghee in each pan. Now add the grated carrot in one and the pineapple past in the other. 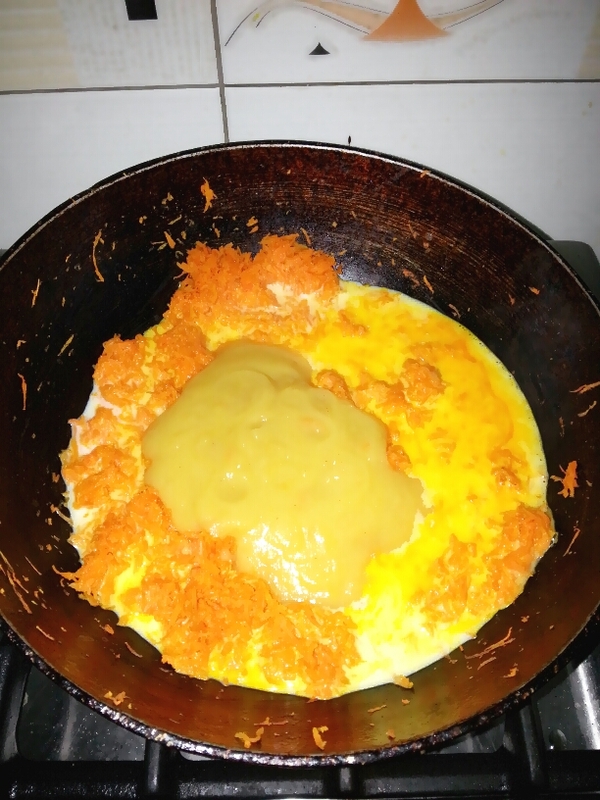 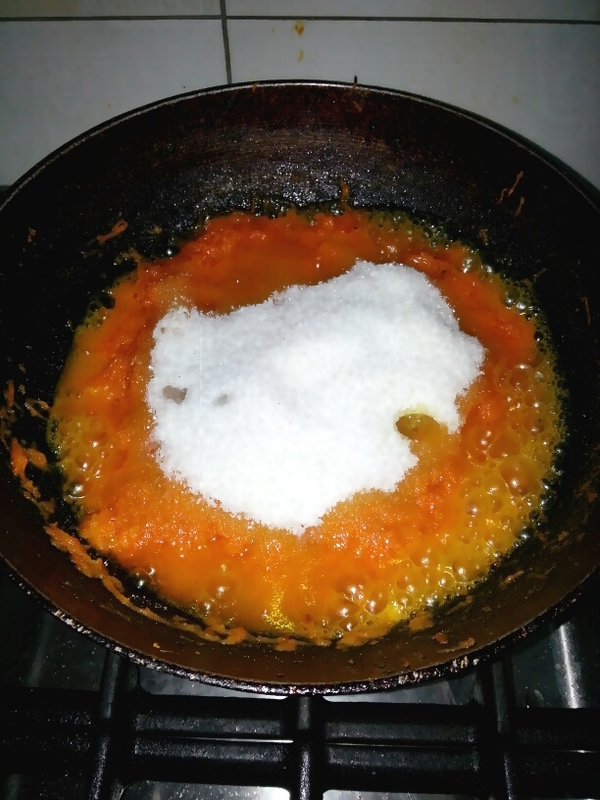 Saute the carrot for few mins and let the 1 cup pineapple paste reduce to 1/2 cup. Once the pineapple has reduced remove from heat and check if the carrots raw smell has gone. 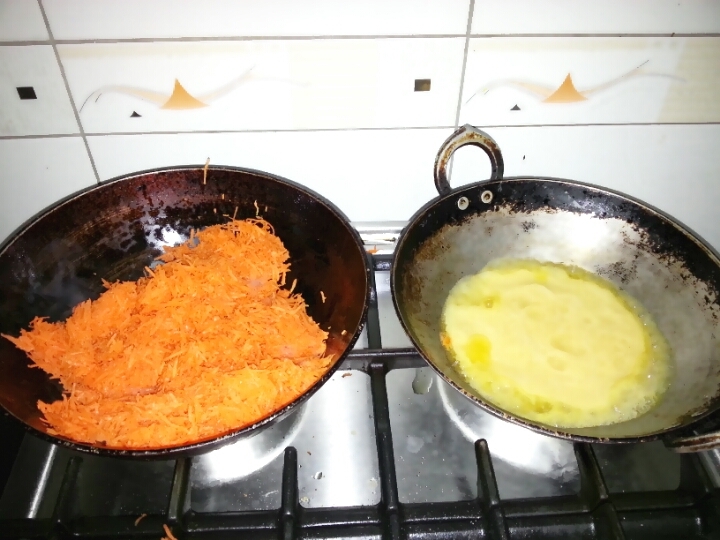 Add milk and the reduced pineapple paste to the carrot. Mix everything nicely with a pinch of salt and let this mixture boil nicely. At this stage the milk will break a little but dont worry about that. 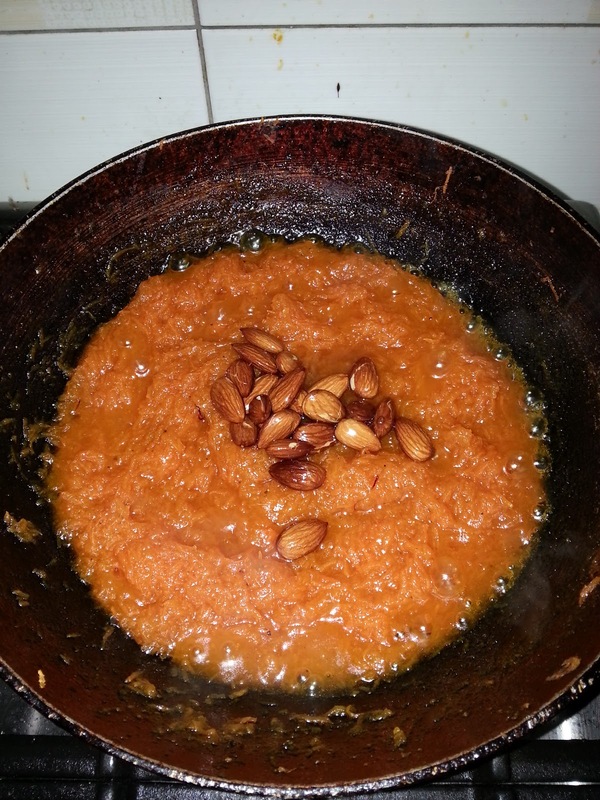 After the liquid in the carrot mixture reduced nicely add the sugar and crushed cardamom to it. Meanwhile fry ur favourite nuts in 1 tbsp ghee. 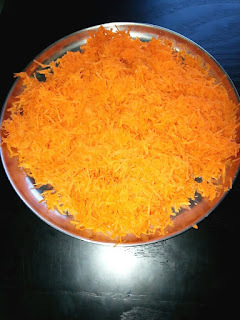 Keep stirring the carrot mixture occationally. 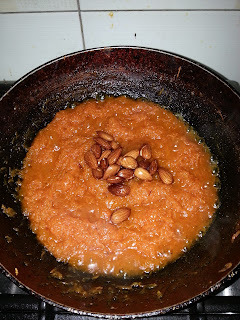 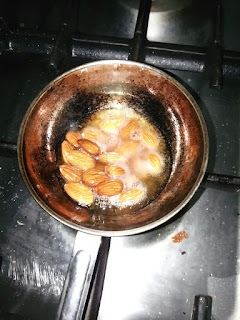 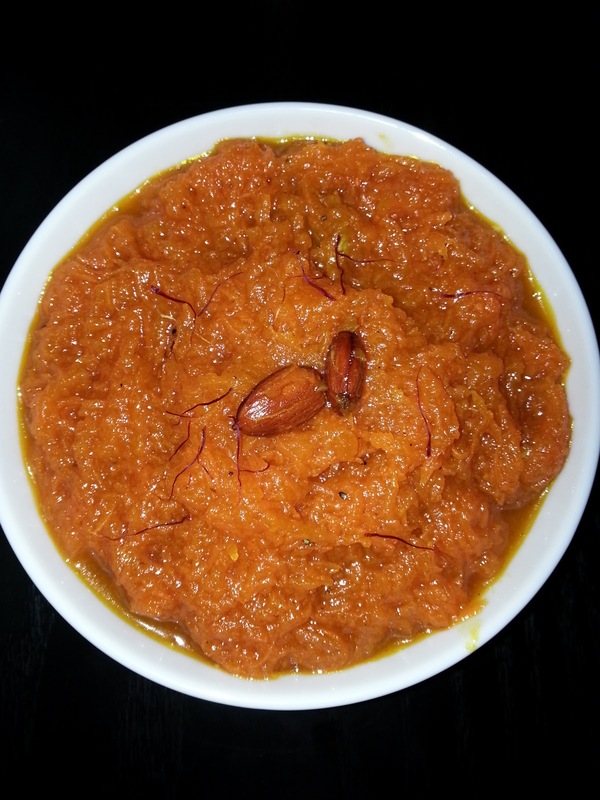 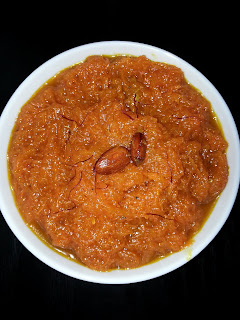 Once it has reached the consistancy of the below picture turn off the heat and add the fried nuts, saffron and serve.